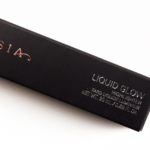 Anastasia Liquid Glow Highlighter is a highlighter that retails for $25.00 and contains 0.68 oz. 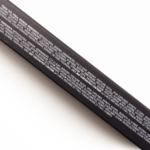 There have been 7 shades released, which you can select from below or jump to these sections: Review, or Description. 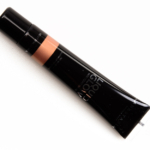 It’s supposed to be a “weightless liquid highlighter” that will give “an intense glow” that can be worn “separately on face and body.” The formula was smooth, fluid, and not too thin that it felt overly watery or spread unevenly. 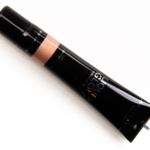 I tested it over bare skin for wear, and it did the best there, as it was easier to spread the product out evenly. It dried down fully (no wetness/stickiness) and lasted for a solid seven hours on me before breaking down. 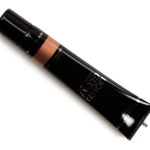 The disappointment came when I tried to layer it on top of liquid foundation, as it lifted and moved my foundation quite a bit (I tried it over Tarte Rainforest of the Sea and Guerlain Lingerie de Peau, as well as over lightly set foundation). I also tried mixing it into my liquid foundation for an all-over dewiness, and it definitely added some dewiness. I watched the brand demo this product after initially applying and getting a very subtle effect, as I had used fingertips for my initial application and they demoed using brushes. I tried using a similar-shaped brush and still saw subtle glow, and I very much tried to mimic the amount that the brand explained was necessary (a little dab!). When I tried to layer and build up the coverage/intensity on bare skin, it was totally doable, but over foundation, it was impossible as it just smeared around, looked clumpy, and lifted my foundation off wherever I applied it (and in the brand’s videos, it seemed like the models were wearing foundation). The best application was with a slightly dampened sponge applicator (like a beautyblender) and a soft touch, as it seemed to move the product around the least. 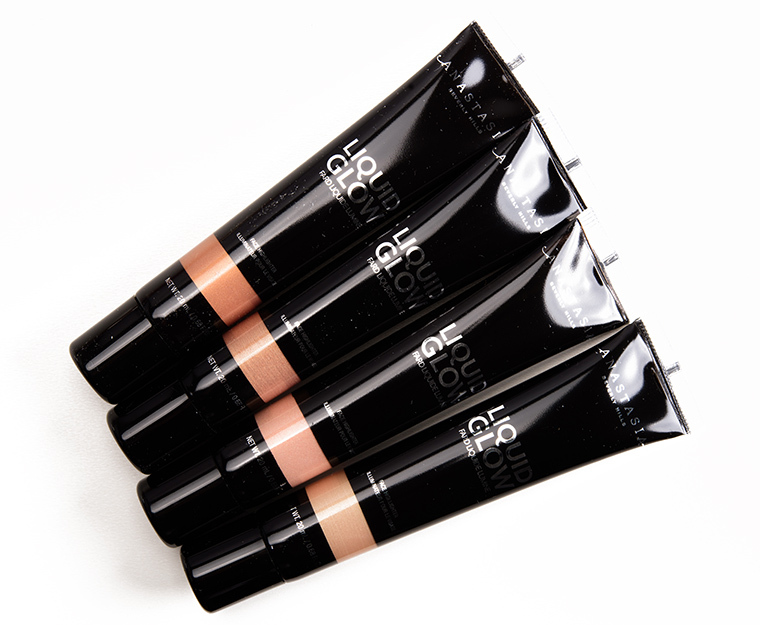 Update (July 2018): The brand launched three additional shades--Patina, Penny, and Rose Gold--and they are significantly different in coverage and application; they are much more pigmented with moderate to high-shine/metallic finishes and are infinitely easier to apply foundation (and still worked well over bare skin). I found that they applied better with brushes as there was still slight patchiness/lifting when I used my fingertips to apply over a base. 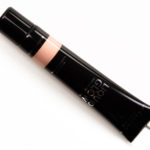 A weightless liquid highlighter that offers an intense glow with metallic and lustre finishes. 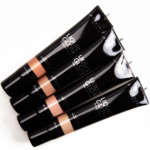 Layer shades of Anastasia Beverly Hills Liquid Glow together or wear separately on face and body.